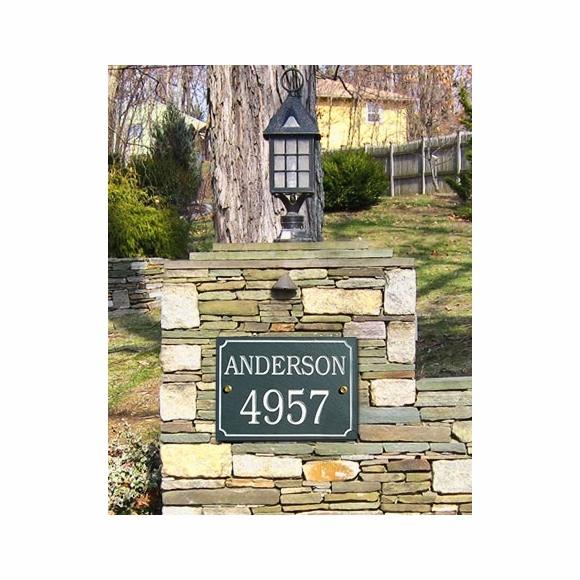 Personalized 2 Line Slate Home Address Sign - - in two sizes 9" x 12" and 10" x 14" and four different color combinations. Made in USA. House number can go on either the top or bottom line. This line holds up to five (5) characters including spaces (2.75" on the smaller plaque and 3" on the larger). Either your street name or family name goes on the other line. This line holds up to fifteen (15) 1.5" characters including spaces. Superior quality! Excellent packaging. Came in perfect condition. Very happy we chose ComfortHouse for this project!